In September 2013 the Magnuson-Stevens Fishery Conservation and Management Act, which regulates America’s fisheries, will be up for reauthorization for the first time since it was previously amended in 2006. The process that led to the most recent reauthorization took a contentious and laborious seven years of debate in Congress and led to dramatic changes in the law. Perhaps the most ambitious amendment was the addition of a requirement for the National Oceanic and Atmospheric Administration, or NOAA, to set annual catch limits—caps on how much fishermen can catch of each of the fish stocks that NOAA manages. Earlier this month the House Committee on Natural Resources formally kicked off the Magnuson reauthorization festivities with a hearing that, according to Committee Chairman Doc Hastings (R-WA), was “intended to highlight issues that could provide the basis for future hearings.” A hearing about future hearings: government efficiency at its finest. This realization tracks well with a Natural Resources Defense Council, or NRDC, report issued earlier this month. The NRDC found that since the Magnuson-Stevens Act was amended in 1996 to require overfished stocks to be rebuilt within 10 years, nearly two-thirds of all once-overfished stocks have met their target numbers. As a result, revenues from U.S. commercial fishing have increased by 54 percent since 1996 when adjusted for inflation, with fishermen receiving more than half a billion dollars in additional revenue annually. While this accomplishment is remarkable, it doesn’t extend to all fisheries or all regions of the country. The rising tide of improved fishery management in the United States has not lifted all boats. New England, for example, is still home to 11 overfished stocks—more than twice as many as any other region, according to NOAA’s 2011 “Status of Stocks” report to Congress. And each region of the country has at least one stock of fish on the overfished list. So if you’re a charter-boat captain trying to get red snapper for your customers in the Gulf of Mexico—where the recreational season lasted just 40 days in 2012—or if you’re a groundfisherman in New England facing 77 percent cuts to your quota of Gulf of Maine cod, NRDC’s big-picture statistics don’t do a whole lot for your bottom line. While virtually everyone who spoke at this month’s House hearing agreed that the Magnuson-Stevens Act should remain in place and that the lingering difficulties were due to implementation and not the legislation itself, the question of how to resolve these problems raised a far more contentious debate. There was general consensus that NOAA simply hasn’t been spending enough money on stock assessments to do the job that is required. In normal times, such an obvious point of agreement would lead to a clear solution. But in today’s poisonous partisan atmosphere, the debate over this point became predictably divisive. Most Republicans trumpeted government inefficiency, suggesting that NOAA is misusing its funds, while most Democrats felt that more money is necessary to get the job done right. Rep. John Fleming (R-LA) was particularly vociferous in taking the former side. He charged NOAA with using its funding “inefficiently” to research climate change and at one point pontificated that the cost of one “climate satellite” was $750 million. Presumably, he was referring to NOAA’s environmental-monitoring satellites that—in addition to collecting climate data—also happen to be fundamental weather-forecasting tools. Without them, hurricane tracking, for example, could lose as much as 50 percent of its accuracy—a degradation with which Rep. Fleming’s downstate neighbors might have more than a passing concern. Perhaps the broader point that Rep. Fleming missed in pointing his finger at the agency is that Congress prohibits NOAA from dipping into its satellite funding to cover the cost of fisheries research. That’s called “misuse of funds,” and Congress gets very angry when agencies tamper with its carefully crafted spending plans. In fact, NOAA found itself in hot water last year when Congress found that the agency “reprogrammed” $36 million from one National Weather Service account to pay employees in another part of the Weather Service. So shifting funding from the satellite program to the fisheries account seems as if it would be a shady solution at best. 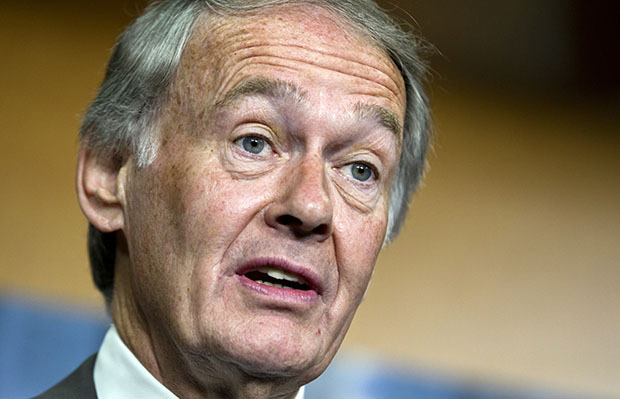 Rep. Ed Markey (D-MA) nailed the problem during the hearing. “Inadequate funding for science,” he opined, “makes poor management a self-fulfilling prophecy.” His point is that ill-funded science produces uncertain data. The less certain the data, the higher the buffer needs to be between what scientists think the right number of fish to catch should be and how much regulators can allow fishermen to catch. Simply put, more certainty means a better chance at more fish. The trouble is, stock assessments are a complicated business, and the most complex assessments are expensive. Each year the Magnuson-Stevens Act requires NOAA to set annual catch limits on 203 fish stocks. To set an accurate catch limit, the agency relies on its most recent stock assessment, but the agency’s FY 2012 budget for fishery-stock assessments was $64 million—far short of what would be required to carry out new assessments on every stock or even the most commercially important stocks. Until Congress allocates additional funding for stock assessments, fishermen will suffer. Sound management requires sound science, and sound science costs money. But as the NRDC report found, sound management based on sound science also makes money—a lot of it, too, and it ends up in the hands of fishermen. So when it comes to fisheries management, House Republicans have a choice. They can recognize the reality that federal dollars spent for the good of hard-working Americans are a real investment in our society, or they can stop insisting that their fishermen are being harmed by inadequate science. When you’re the guys controlling the bag of money, you don’t get to complain that there isn’t enough being spent.